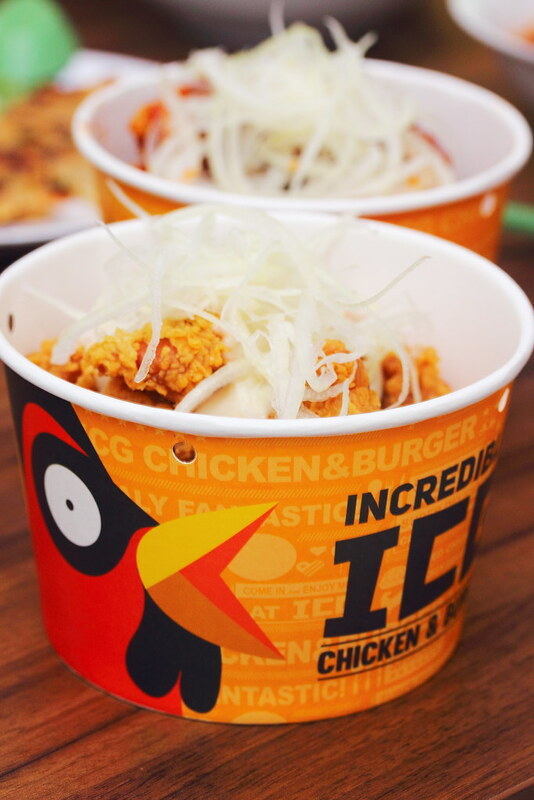 Newly opened at Balestier Food Centre is ICG Chicken & Burger selling Korean fried chicken. It is quite interesting to note the new trend of international cuisine moving into our hawker scene. The stall sells a variety of fried chicken in different sauces as well as chicken burgers. Its all about chicken here. 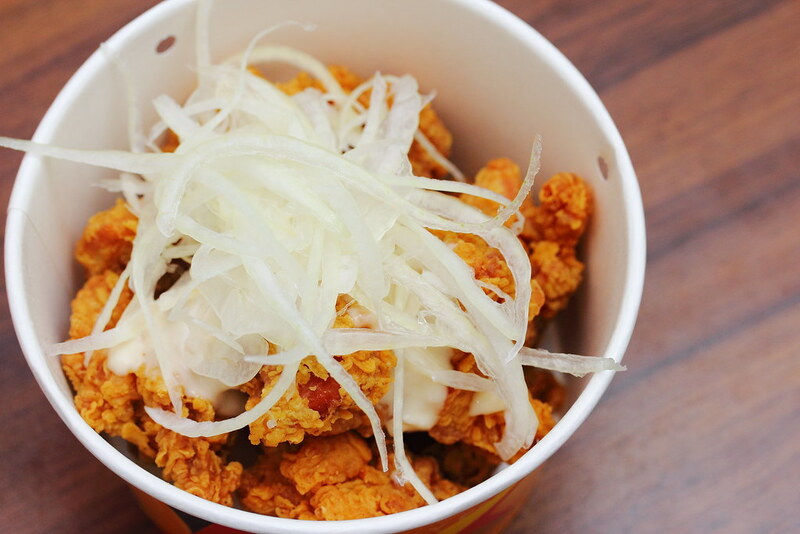 Marinated for 12 hours and deep fried to crispy, the Creamy Yangpa Onion Chicken ($10/$16) is further topped with fresh onions and a sweet creamy onion sauce. The creamy sauce complements the succulent chicken excellent. This is indeed quite delectable. 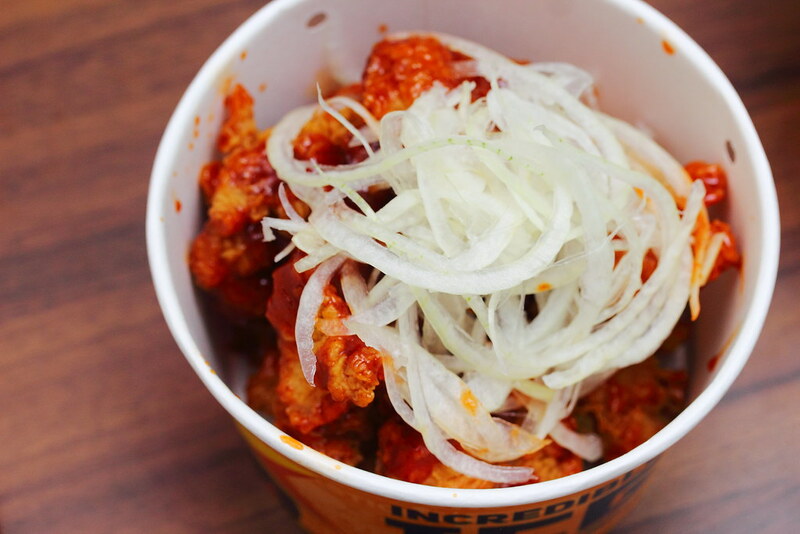 The other Korean fried chicken we tried is the Sweet and Spicy Chicken ($8.90/$14). The sauce is on the sweet side instead. I could not really taste the spiciness. Unlike the creamy yangpa onion chicken, the sauce did not go as well with the fried chicken. 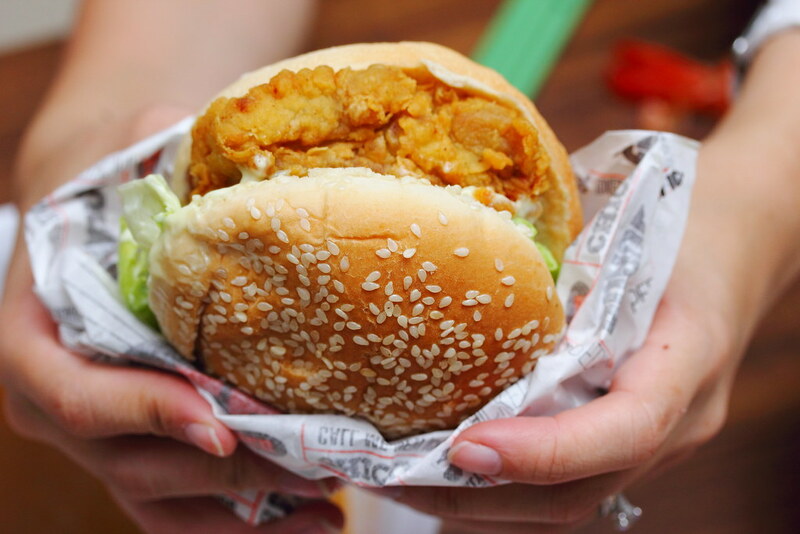 Besides the boneless fried chicken, we also tried its Super Tongsal Chicken Burger ($5.50). We all agreed that it tasted quite like MacDonald's chicken burger. It even look similar isn't it? 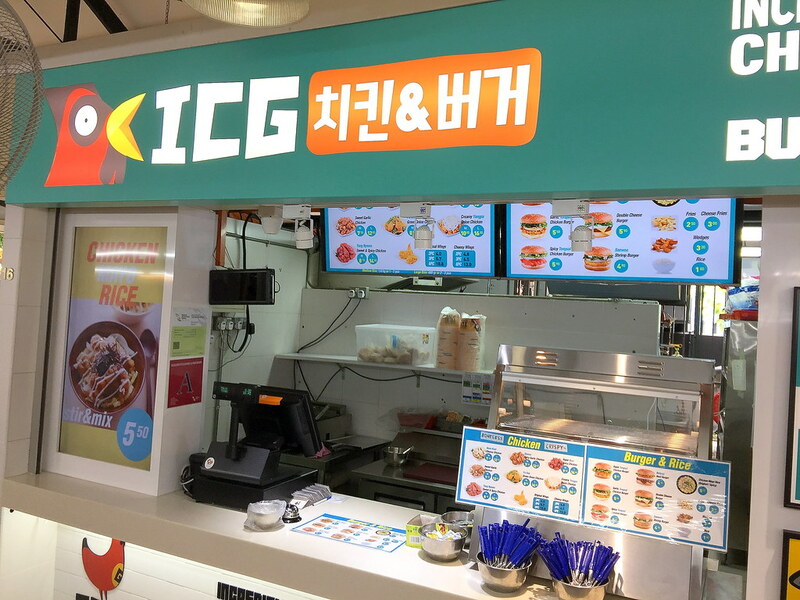 The chicken patty is actually quite good, crispy and juicy.